Well, that was annoying. It’s the day after the General Election in the UK, and, well, what a let down. I did manage to vote this time, from afar, little difference that it made. Anyway, I’ve not posted in a while as I did a little traveling (and also, you know, lazy), but I have a whole bunch of recent sketches to post so I’ll have them online soon. 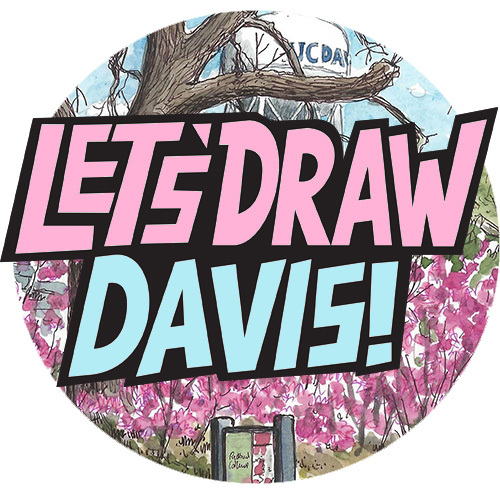 I went to LA, sketching beaches, bars, buildings and more hydrants. I also sketched more toys at home. 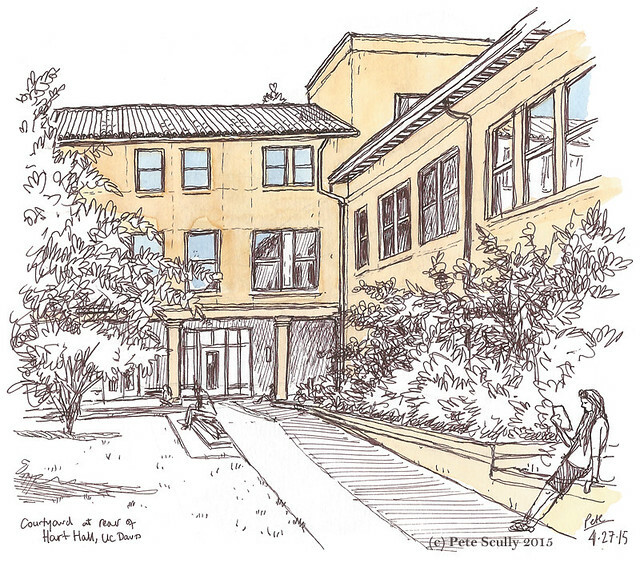 But this one, well, it’s a quiet moment of repose, sketched at the rear of Hart Hall UC Davis early last week. Back in the UK, five more years of the Tories, but this time without any Lib-Dem cling-ons. Sigh.